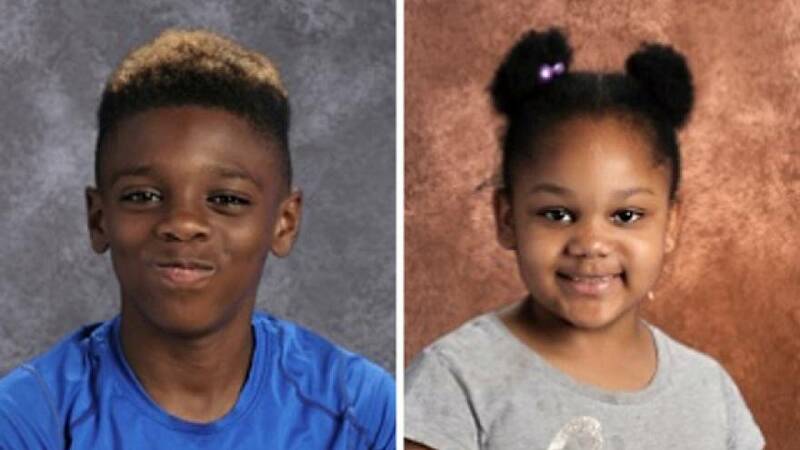 TROY, N.Y. — Investigators in an upstate New York town said Thursday they are confident they will catch the killer who murdered a mother, two of her kids and her female partner — a crime the police chief described as "savagery." "We're going to get to the bottom of it," Troy Police Capt. Daniel DeWolf told NBC News. The bodies of Shanta Myers, 36, her 11-year-old son Jeremiah, her 5-year-old daughter Shanise, and 22-year-old Brandi Mells were found in their basement apartment the day after Christmas. Myers had a 15-year-old son who was out of town on a retreat at the time of the murders. DeWolf would not discuss details of the crime scene or the cause of death, but law enforcement sources told the Albany Times Union that the victims were bound and their throats were slit. Police would not discuss a possible motive, but they did say a preliminary investigation of the crime scene — less than 10 miles from the state capital — suggested the victims were targeted. "We don't think there's some madman out there running loose that's going to kill someone else," DeWolf said. Myers' family described her as a good-natured woman who could not have done anything to provoke such violence. "She is so sweet," her sister, Shakera Symes, told NBC News. "She goes out of her way to want to be loved. She wouldn't be involved in anything that would be close to deserving this. She's very mild-mannered." Myers' big joy was cooking for family gatherings. "She always had one of the biggest dishes. You would see her out there frying up empanadas," Symes said. "She just loved to be included in family events, but over the last year, she kind of isolated herself as she got into a relationship," she added. Mells was originally from Newark, New Jersey, but moved to upstate New York as a teenager, said close friend Dria Hector. She was living in Troy with her mother when she met Myers. She said she met Myers' youngest child a few months ago and recalled how the 5-year-old played with and tried to feed her own 2-year-old daughter. "She was so, so sweet," she said. "She had a big personality." Jeremiah, who was known as JJ, was very involved in the Boys and Girls Club in Troy, where he took part in the afterschool program and played on the basketball team. "He was such a radiant kid that everybody knew him," said Hollyanne Buntich, human resources director for the club, which has started a fundraising campaign for the family. "He was a ray of sunshine." Symes said she expected to hear from Jeremiah on Friday because he usually called her to chat when he didn't have school. But the call never came, and the family never showed up at her house for Christmas, as expected. Then came the terrible news the following day. "I can't understand why somebody wanted to do something like that," Symes said. "It is a complete mystery at this point but I am urging anyone and everyone who has the slightest bit of information at this point to come forward." She said the family is rallying around Myers' older son, Isaiah, who has not said much about the tragedy. "He keeps to himself," she said. "He is very strong." DeWolf said the boy's safety is "a concern" but would not comment further. Police said they have received many leads and are combing through an "enormous" amount of video collected from cameras on houses and businesses near the crime scene. The state police major crimes and computer units had been called in to assist. Troy Police Chief John Tedesco said the crime was horrendous for everyone involved, including law-enforcement officers. "After being in this business for almost 42 years, I cannot describe the savagery of this," he told reporters.